Well all work and no play makes Jack a dull boy. Not sure who Jack is – but its time we at Jagged Games actually had chance to do something different. Anyway, we started clearing out an old cupboard and lo! We beheld this monster of a machine! 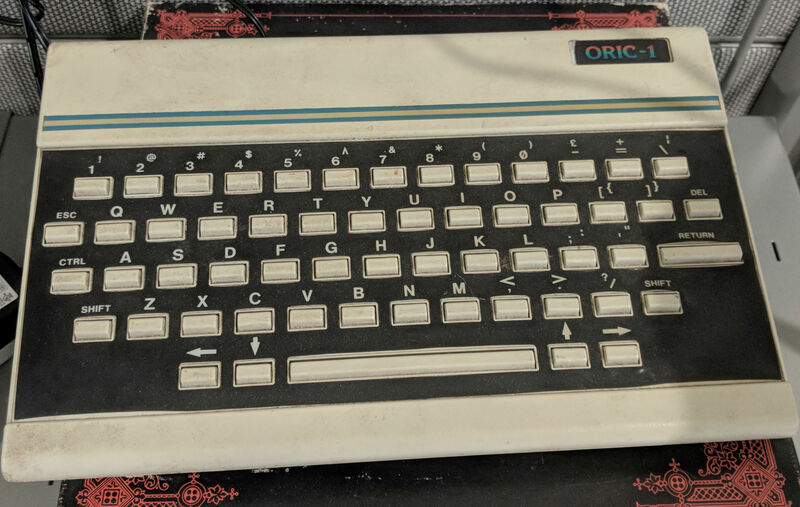 A wonderful Oric 1 as purchased new in 1983. Coming in with a whopping 48KB of RAM this was produced by Tangerine Computer Systems as a contender against the Sinclair ZX Spectrum. So we are going to set up a nice little project to see if it is still alive. We can’t find the power lead for it, so Adam is going to have to get his little box of tricks and make sure we identify the correct power requirements for it, then we will power it up and see if it works. Keep tuned and we will update you with screen-shots and status updates of how it goes.